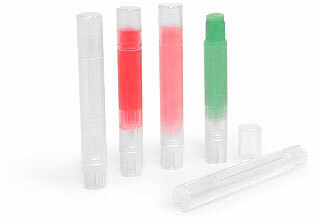 The .07 oz natural slim line lip balm tubes are offered here with natural caps. A turning wheel at the base of the lip balm tube allows for the lip balm to be neatly dispensed. This slim styled tube is 81 mm in height and 12 mm in diameter allowing for an easy to transport lip balm for your purse or pocket. 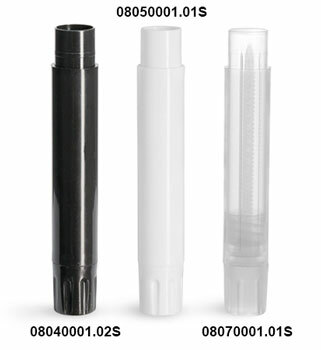 These slim line lip balm tubes may also be useful for other products such as solid perfume sticks, sunscreen, or insect repellents.